New Baby Boy CardsThere is 1 product. What better way could you choose to congratulate the happy new parents on the arrival of the new baby boy if not with unique hand-crafted New Baby Boy Cards? Wide range of New Baby Boy Cards from e-shop Unikatnica are unique hand-crafted greeting cards from different materials and unique, handcrafted motifs and patterns. You can also personalise the card to make it even more beautiful and unique. 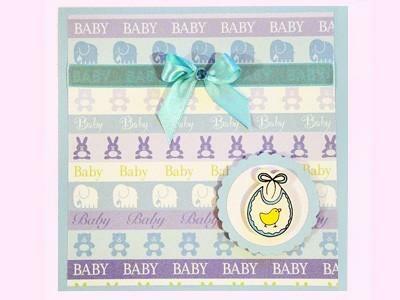 This handmade newborn baby boy card is unique in design, texture and color shades. It represents thoughtful and memorable gift to a new mother which will appreciate your unique idea. Important! Before purchasing this newborn baby boy card please register/log in to Uniktnica.